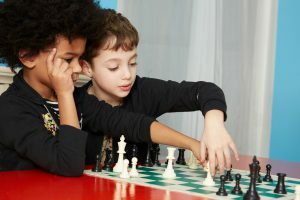 When the complex, thinking-person’s game of chess becomes as simple as story time, Schwartz said there’s no need to be a grand master to teach it. Out of those interactions, he developed a story-based curriculum to teach chess. 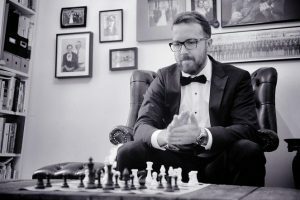 Schwartz thinks most elite chess players aren’t very good teachers because they’re such geniuses that they don’t know why they’re good. 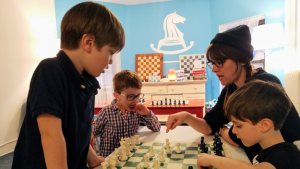 His curriculum is designed for non-chess-playing teachers. Now 14,000 students learn from Chess at Three every week. Stories are a powerful tool. Being told what to do doesn’t help us absorb what we need to know or to do or how to play, but being set free in a world to discover it for ourselves does. And our teachers are incredible story tellers and creatives who make the game come alive.